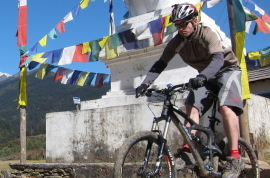 Unique Trails offers a diverse selection of adventure tours and mountain biking in Nepal. When you travel to Nepal, make sure to visit destinations like Kathmandu, Annapurna and Chitwan National Park. In addition, Nepal offers a wide range of adventure travel activities, including trekking the Himalayas, such as Everest Base Camp. 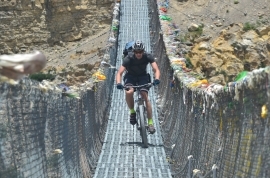 Unique Trails offers a diverse selection of adventure travel in Nepal including treks, tours, mountain biking and multi-adventure tours. When you travel to Nepal, make sure to visit destinations like Kathmandu, Annapurna and Chitwan National Park. In addition, Nepal offers a wide range of adventure travel activities, including trekking the Himalayas, and climbing Mount Everest. But before you travel to Nepal, be sure to educate yourself on all that you can expect here. Nepal is still a heady place, whether you’re a trekker on a trail to Annapurna, a climber on your way to Everest or a seeker on the path to enlightenment. There are few countries on Earth that can match its combination of spectacular scenery, exotic culture and hospitable people. Along with the world’s deepest canyon and eight of the world’s 14 highest mountains, Nepal has steamy jungles and terraced valleys laced with ancient villages, remote temples and wildlife preserves. The country can be divided into three different regions. The south consists of plains, swamps and forests. 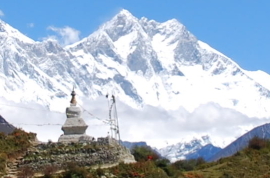 The north is covered by the Himalaya, the mountain range that includes the world's tallest peak, Mt. Everest, which rises to 29,000 ft/8,850 m. Kathmandu and most of the country's population can be found in the (relatively) low Himalayan foothills of central Nepal. 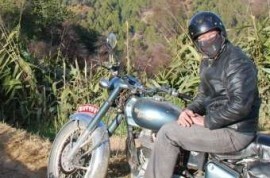 If you're going to Nepal for cycling, there are two seasons which are best - October-November and March-April. The former is best, when the air has been washed clean by summer monsoons and the passes haven't yet been snowed in. The weather is brisk but not too cold. In spring, the passes are open again, but the air is hazy, and the views, while good, aren't the same as in autumn. (If spring is the only time available, it's still worth going.) Because it's so far south, Kathmandu freezes only during the winter. Pokhara is warmer. The higher-altitude areas are quite cold, however. 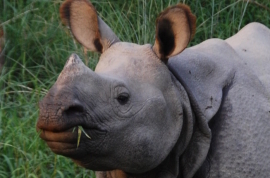 If you're going only to Royal Chitwan Park, be aware that it can be very hot and humid anytime during its season, October-May, but it can be a great Winter getaway. The monsoon, which occurs June-September, affects most of the country, and flooding is a possibility in the Chitwan region. 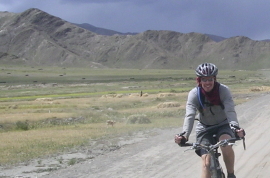 Areas like Upper Mustang, which are north of the rain shadow don't have a monsoon season, but instead stay dry, making them the perfect location for some Summer mountain biking. Flights can be unreliable during this time so be prepared with some days to put your contingency plan (going overland) into action. From Kathmandu to the Khumbu, possibly the world’s most famous trekking region - Everest Base Camp. Get off the beaten trails and explore this region in depth, including crossing three legendary high passes. This is it! Experience the essential Nepal by mountainbike and classic cycle, by rickshaw, by raft and canoe, on an elephant, mountain flight and overland tour and of course, trekking! 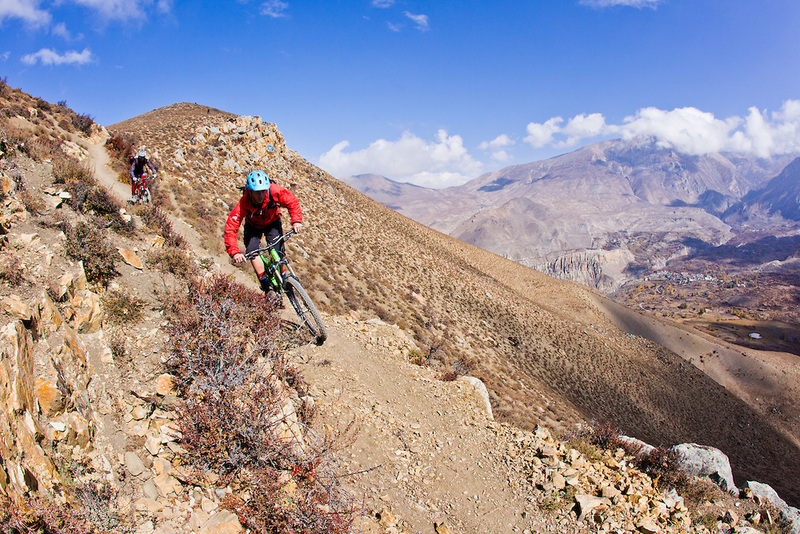 8 days of adventure on this Kathmandu mountain biking tour, cycle through stunning villages, see incredible mountain views and meet the great people of Nepal. This is the newest and most incredible of biking adventures. Challenge yourself with this breathtaking journey through the timeless Kingdom of Lo, a remote Tibetan Buddhist enclave inside Nepal that was, until recently, forbidden to foreigners. The rafting and the hotel choices were awesome and Suri was very helpful. Couldn't do enough for us.